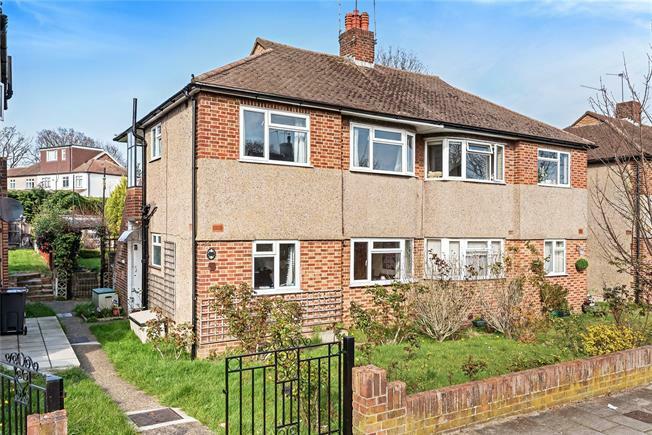 2 Bedroom Maisonette For Sale in Orpington for Offers in excess of £300,000. This first floor maisonette is situated just a third of a mile from the shops and station at Petts Wood and is being offered CHAIN FREE. The property has been completely modified throughout to a high standard and would make an ideal first time buy or buy to let investment. The accommodation includes two double bedrooms, living room to the front, modern fitted kitchen with integrated appliances including a built in oven and hob, fridge/freezer and washing machine. There is a newly fitted bathroom with white suite including bath with shower screen, pedestal wash hand basin and low level WC. The property is double glazed and has a new central heating system. Outside, the property comes with its own private rear garden with shed, greenhouse and pond. The lease has been extended and has 99 years from and including 25 March 2017. Petts Wood is a highly regarded town with excellent rail links into London via the station and has a comprehensive range of shops, restaurants and reputable schools. Bromley town centre is under three miles away and Orpington is closer still at one and a half miles.